Over the past few weeks an Instagram account called world_record_egg with just a solo photo of an egg received 23 million likes, breaking the world record for the most liked photo on Instagram in the world. The egg took the title from Kylie Jenner who was holding this world record previously. Millions of people on social media were trying to work out what the egg was all about. Over the following weeks, subsequent images of the egg on Instagram showed cracks in the shell. The mystery was revealed on an American TV streaming service called Hulu following the Super Bowl 2019. 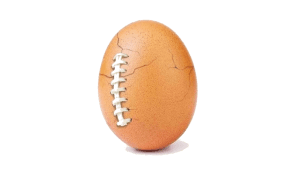 Many spectators thought this was publicity for a new TV series or product but when the egg cracked it showed a message relating to mental health. The egg introduced itself and explained it was cracking under pressure but was put back together with a message saying “We got this”. This is an important reminder to all of us that it is okay to ask for help and there are many services available to help someone if they feel like they are “cracking”. Hall Consulting Group have recently published an announcement of the work we are planning to do and the organisation we will be working with and supporting in 2019. Batyr are running programs in schools to let young people know it is okay to speak up if you are feeling low. The world_record_egg illustrates perfectly that depression, BPD and many other mental illnesses can very overwhelming, to the point where you start cracking, but there are always people willing to help. As the world famous egg said, “ We got this!” Let’s un-stigmatise mental health and create safe places for people to reach out.